Okay, I’m sure that there really is a way to successfully paint tile, you will not learn that way here. It’s not all bad though, I’m happy with our newly painted tile wall as a quick fix. The bathroom was remodeled around the same year I was born, hopefully I am aging better than that grout was. It had turned a pretty unattractive shade of yellow. Originally, I was just going to paint the peach tiles a different color (you can see that only the top strip is primed above). 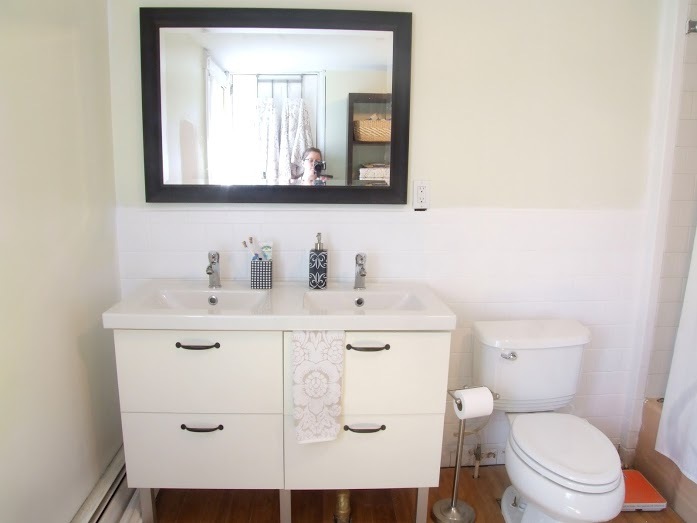 But the more I looked at the grout, the uglier it got, so I painted the whole wall white. Zinser will tell you that their primer sticks to tile without even sanding. As Dwight Shrute would say, FALSE. I sanded, put on two coats of primer, kept it warm and dry for 7 days to cure, and still, it won’t stand up to much contact. Thankfully, there won’t be much contact with that wall. But it does look so much better. 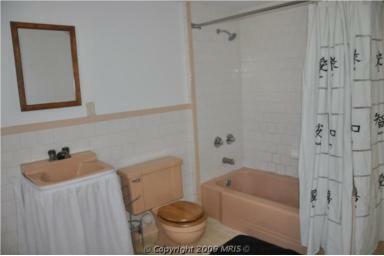 The plan is (in a couple years) to replace the tub in the bathroom. When we do that, we also plan on replacing all the tile. Because of that, painting was the only option that made sense. It’s a temporary fix, and it works. 1.5 bathroom projects down, 12.5 more to go. Most people I know would just complain about about the ugly tile until they could replace it, so even though it’s only temporary, that’s a clever idea. Anyway the white looks so much nicer. That’s a relief to hear. Hopefully it will hold up better than I was expecting.